One of the most difficult and dangerous drugs available on the street today is heroin. This drug causes serious problems legally, financially, spiritually, emotionally and otherwise. Everyone who is involved with heroin and with the heroin addict is affected negatively by the use of this drug. Heroin is so highly addictive, it has been given the name “killer” by many because the adverse reactions that come from the physical dependence on the drug are so difficult to get past that many users remain addicted for years and years. Heroin addiction is a physical dependence that forms after a single use of the drug. Prolonged use or multiple uses of heroin can lead to physical dependence that causes the addict to essentially feel like they “have” to have the drug in order to survive. Unlike many other substances that cause addiction, heroin is a highly physically addictive drug that comes with many, many withdrawal effects if they drug is abruptly stopped or the dosage is lowered. A heroin addiction can be difficult to overcome alone. These symptoms will progress for a period of up to two weeks following the last dose of heroin and in some cases can become rather severe. For those who abuse heroin for a very long time, the withdrawal symptoms can become so severe that there is a near immediate need for medical treatment. In fact, heroin is one of the few drugs that, when no longer used, can lead to adverse withdrawal symptoms that pose a significant risk to the user. Heroin addiction often leads the user to taking part in risky behaviors that can lead to adverse consequences. Because most heroin users inject the drug and tend to take part in sharing needles, the risk of infection and disease is significantly higher for those who shoot heroin than for many other types of drugs. In some cases, the injection site can become infected and this can lead to boils, skin infections, staff infections and even the potential loss of a limb if left untreated. For those who abuse heroin and believe that there is no hope, help is available through treatment and rehabilitation programs. Although recovery from heroin addiction is a long, difficult and challenging journey, thousands of people are able to overcome heroin addiction and live happily without the use of this deadly drug. Rehab centers provide medications to help with withdrawal symptoms, counseling to assist with psychological dependence and a range of other therapeutic services to help patients cope with every facet of their addiction as well as to heal on an emotional, physical and spiritual standpoint. 10 Important Heroin Abuse Statistics - Heroin abuse and addiction is on the rise, along with the many consequences that follow. 10 Signs of Heroin Addiction - If you or someone you love is addicted to heroin, it is important to seek help and treatment. Heroin is a very dangerous drug. 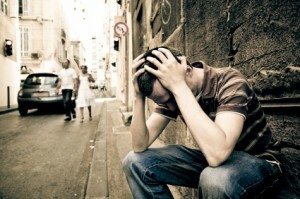 Effects of Heroin Abuse - Heroin is a very dangerous opiate drug. It is highly addictive, a condition which leads to lifelong problems and struggles. What Heroin Recovery is Really Like - Heroin is a powerful drug, and addiction can take over the lives of people who try it. Recovery from this addiction is possible, and it is a very rewarding yet trying process.